Today we toured the Castle of the Knights of St. Peter, also known as the Bodrum Museum of Underwater Archaeology. We did this–unfortunately–as our final organized shore excursion from the ship. Whereas yesterday simply wasn’t required, today’s shore excursion was a net negative relative to doing it on our own. Why pay a premium to be stuck in a crowd moving at a glacial pace in order to listen to a rambling guide? Bah… just bores us and (worse) the kid, which in turn only makes us more frustrated. 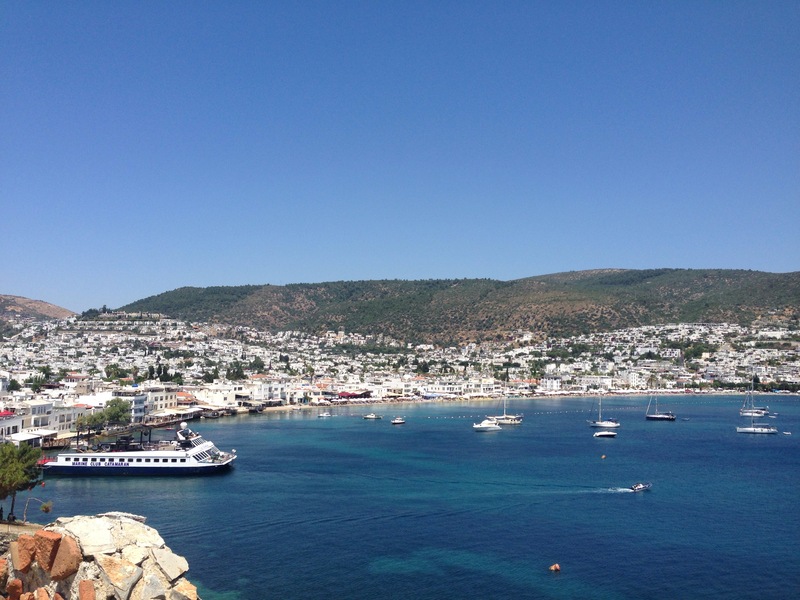 Bodrum, the Aegean gateway to Turkey’s Turquoise Coast, feels like the Turkish Riviera. It’s clearly a yachting center and a popular spot for Turkish and European holidaymakers. Unfortunately, we didn’t get to explore the town extensively. From here, it’s a short hope to the Dodecanese, especially the Greek Island of Kos. The Castle was modestly interesting with nice vistas of the inner harbor and expansive bay. The treasures and partial hulls from various ancient shipwrecks were modestly interesting. As I noted above, it probably would have been better solo — we could have taken our time and had the space to really look at the artifacts. I feel like we sort of shortchanged Bodrum. It actually makes me want to come back here more, as I tend to think it has much more to offer than we experienced on this visit. Tomorrow we arrive in Rhodes, Greece, which Libby and I last visited in March 2009. In other news, I’ll probably share photos more selectively (or not at all) as the WordPress app simply uses too much data on a per photo basis over cellular connections. I’ll try to post some highlights / updates from WiFi connections when I can find them on land.